- Magnum are an English rock band. They were formed in Birmingham by Tony Clarkin (guitar, songwriter) and Bob Catley (vocals) in order to appear as the resident band at the Rum Runner nightclub in the city. Magnum have undergone several changes in personnel over the years; however, the core of Catley and Clarkin remain. Magnum's most significant early success was Chase the Dragon in 1982, which reached number 17 in the UK Albums Chart. 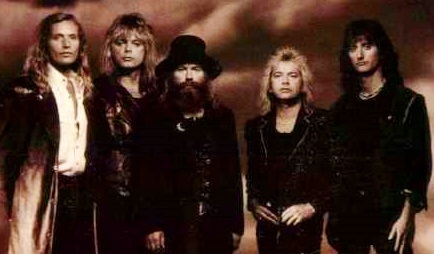 It included several songs that would become mainstays of the band's live set, notably "Soldier of the Line", "Sacred Hour" and "The Spirit". The band's 1986 album Vigilante represented a move towards the mainstream due to production by Queen drummer Roger Taylor and David Richards, who had recently worked together on A Kind of Magic. The band then achieved their commercial peak in 1988 when they entered the UK Top Ten for the first time with the album Wings of Heaven, which reached number five and featured three Top 40 singles, "Days of No Trust", "Start Talking Love" and "It Must Have Been Love". It was followed by Goodnight L.A., which was produced by Keith Olsen and reached number nine in the UK Album Chart in 1990. It produced another Top 40 single for the band, "Rockin' Chair". In 1995, Clarkin announced Magnum's split; he later formed another band, with Catley and Al Barrow called Hard Rain. Magnum reformed in 2001 and have released a further eight studio albums since then. Their album Escape from the Shadow Garden was released in March 2014 and their most recent album, Sacred Blood "Divine" Lies, in February 2016. "I was absolutely broke, and the people who owned the Rum Runner club were building this new night club called Snobs, and they got all the musicians that worked at the Rum Runner helping out. I went to the Rum Runner one night, so Tony Clarkin said, "Come and earn some money building this new club." So I was down there every day helping them build this thing, and on the night I used to go down to the Rum Runner just to see the groups. I was in there one night, and to cut a long story short, Bob Doyle the original bass player with Magnum left the band, and Tony Clarkin said, "Can you play bass? ", I said "Yeah", he said, "You got the job!" That was it, I just happened to be there when Doyle left, so I got his job!" They began to develop their own style by playing Clarkin's songs at a residency at The Railway Inn, in Birmingham's Curzon Street, in 1976. In 1975, Clarkin and Dave Morgan received an offer from Kim Holmes to help with the construction of a studio, rather than being paid with money, Clarkin requested to be paid with studio time. Much of Magnum's early demo material was recorded at Nest Studios in Birmingham, which would later lead to a recording contract with David Arden of Jet Records. During the "Nest" sessions, at least two songs written by Dave Morgan (and sung by Bob Catley) were recorded but never released. The titles were "Baby I Need" and "One More Round The Bend", which resurfaced on an acetate disc in 2005. A one off deal with CBS was arranged via producer Roger Greenaway, and the band released a cover of The Searchers' "Sweets for My Sweet" in February 1975; however, this failed to make the charts. The original recording included a medley of "God Rest Ye Merry, Gentlemen" but was edited out for the single release. Lead vocals on this song were by Morgan, who left the band soon after, and was replaced by Colin "Wally" Lowe. Success was still minimal; they were working as a backing band for artists, such as Del Shannon, on small tours. The band was expanded to a five-piece with the addition of Richard Bailey on keyboards. In May 1977 the band supported Judas Priest on their Sin After Sin UK tour, still without the backing of a record label. Magnum's debut album Kingdom of Madness was released on Jet Records at the end of 1978 and reached #58 in the UK Chart; it received a five star review from Geoff Barton of Sounds magazine. They toured the UK in October/November 1978, as support to David Coverdale's Whitesnake. Leo Lyons, formerly bassist with Ten Years After, produced the follow-up album Magnum II – which was released in 1979, but failed to chart. Another support tour was organised for November 1979, this time with Blue Öyster Cult. A live set, Marauder, was released as an album and reached #34 in the UK, and a live double single ("Live at the Marquee", including "Invasion") reached #48 in the UK Singles Chart. Bailey departed soon after and was replaced temporarily by Grenville Harding during Magnum's support of Def Leppard's On Through the Night UK tour in March. For the second leg in April, permanent replacement Mark Stanway took over keyboard duties. Magnum also appeared at the Reading Festival in 1980. April 1981 saw another support tour, this time with Tygers of Pan Tang on their Spellbound UK tour. Their first successful album was the Jeff Glixman produced Chase the Dragon (1982), which reached #17 in the UK,and included several songs that would be mainstays of the band's live set, including "Soldier of the Line", "Sacred Hour" and "The Spirit". Glixman was previously known for his work with Kansas, and this was the first Magnum release to feature the artwork of fantasy artist Rodney Matthews. The tour included a support slot in February with Krokus, on their One Vice at a Time UK tour. A few United States dates were played during the summer of 1982, supporting labelmate Ozzy Osbourne – these would ultimately prove to be the only live gigs the band ever played outside Europe. The band returned to the UK in July for their own headlining tour. Budgetary constraints at Jet denied Magnum the use of an outside producer for 1983's Clarkin-produced The Eleventh Hour, which peaked at UK #38. 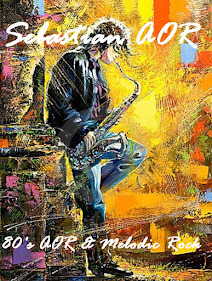 A UK tour started in May 1983, featuring additional guitarist Robin George for live performances. Magnum also appeared at the 1983 Reading Festival, with George. Magnum and Jet parted company shortly afterwards, Kex Gorin was replaced by Jim Simpson and Stanway took some time away from the band to work with Phil Lynott, being replaced by Eddie George. Local businessman Keith Baker(Time Music) engaged the band, an independent tour was organised for February 1984 without the backing of a record label. Lawrence Archer temporarily stood in for Tony Clarkin when he became ill.
Stanway returned to the band in 1984, and they toured the UK in January 1985. Magnum signed a one-off deal with FM Records, and released On a Storyteller's Night, which had a cover by Rodney Matthews. It reached #24 in the UK, and launched the band across Europe. For the May UK tour, Simpson was replaced by Mickey Barker. Keith and the band embarked on a journey that would change the lives of Magnum forever. From the success of On a Storyteller's Night, Keith was able to negotiate the band a major label deal with Polydor Records, and they embarked on the most commercially successful period of their career – opening the famous Monsters of Rock festival at Castle Donington in August 1985, on a bill that also included Bon Jovi, Metallica, Marillion and headliners ZZ Top. A second leg for the Storyteller's tour was concluded in December 1985. The first release for the label was co-produced by Queen drummer Roger Taylor in 1986, entitled Vigilante. The switch to Polydor saw an increase in the marketing budget, and promotional videos were made for the singles "Lonely Night" and "Midnight". A full UK and European tour was scheduled in March 1986, including appearances at The Garden Party Festival, Milton Keynes Bowl in June and the Out In The Green Festival. A second leg was organised in September 1986, which finished in Europe in November 1986. In March 1987, the band embarked on a third UK and European tour, including an appearance at 1987's Reading Festival. Magnum enjoyed increased success with the album Wings of Heaven (#5 in the UK). Three singles from Wings of Heaven reached the UK Top 40, including a Top of the Pops appearance with "Start Talking Love". A successful tour followed in December and, by now, Magnum had been elevated to an 'arena' band in the UK, headlining the N.E.C. and several nights at London's Hammersmith Odeon, supported by the Norwegian band Stage Dolls. The band went to Los Angeles for the Keith Olsen produced Goodnight L.A., which peaked at #9 in the UK chart. The band performed at Berlin's Arena Festival, followed by a full UK and European tour in September 1990. They toured the UK again in November. Following Goodnight L.A.'s lukewarm reception, Magnum parted company with Polydor. They released the live album The Spirit in 1991 and toured the UK and Europe again to support the album. During the concerts in Germany, the band played live with the Roger Taylor band The Cross. Magnum continued to release albums for various labels on one-off deals, the first being Sleepwalking in 1992 on Music for Nations with a full UK tour in October. This was followed by the acoustic album Keeping the Nite Light Burning in 1993 with a UK tour in April. Rock Art was released in 1994 on EMI. A UK tour was scheduled for April, but dates in May and June were postponed or cancelled. A low key tour was arranged for August and Europe in September. In the summer of 1995, Tony Clarkin announced the band were to split and a farewell tour of the UK and Europe took place in March, documented on the live album Stronghold (titled The Last Dance in mainland Europe). After Magnum split, a spin-off group featuring Catley and Clarkin was formed called Hard Rain, which released the albums Hard Rain and When the Good Times Come. It was around this time that Catley launched a solo career using various songwriters, including Gary Hughes of the band Ten. However, Hard Rain found bookings hard to come by, and there were discussions about renaming the band as Magnum. At the same time, Catley was becoming increasingly focused on his solo career, and he quit Hard Rain, marking the end of a working relationship with Clarkin that dated back to 1972. After a quiet period, Clarkin announced the end of Hard Rain. "The break since the middle of the Nineties was definitely necessary for me. Since the end of the Seventies, in fact since we embarked on the preparations for our debut recording Kingdom of Madness, not a single month had gone by in which I didn't work for Magnum, composed for the group, or at least thought of them permanently. For almost twenty years, all my thoughts had revolved around the band. I needed a break to clear my head and to be able to devote myself to the band again with renewed energy". When James returned to Thunder, Jimmy Copley became a full-time member of Magnum. The band toured in April 2005 to mark the 20th anniversary of On a Storyteller's Night; they released a live DVD of the Astoria concert entitled Livin' the Dream, which also included a short documentary and promotional videos from throughout the band's history. Magnum completed work on a new studio album, Princess Alice and the Broken Arrow, which was released on 26 March 2007; this also marked the return to the cover artwork by Rodney Matthews. The album entered the UK Album Charts at No. 70, the first time Magnum had charted in the UK since 1994. It also reached No. 4 on the BBC Rock Album Charts and No. 60 in Germany. In 2005, former drummer Kex Gorin was diagnosed with kidney cancer. Gorin had a kidney removed and underwent radiotherapy and steroid treatment, but died of the disease on 21 December 2007. Magnum undertook a UK tour celebrating the 20th anniversary of Wings of Heaven in November 2007. These shows were recorded for Wings of Heaven Live album, which was released in March 2008. In 2007, Magnum played a one off show at the Robin 2 in Bilston, Wolverhampton. This was a charity event in aid of former drummer Kex Gorin's family. An auction of memorabilia before the show raised over £10,000. Magnum then played a two-hour set of old and new material. On 15 June 2009, they released Into the Valley of the Moonking on SPV. In 2010, the band released, The Gathering, on Universal/Sanctuary; their first ever cross-career collection spread over five discs featuring a 1988 live recording from Hammersmith Odeon. The band released their next album, The Visitation, in 2011. The band toured in support of the album, which charted at No. 55 in the UK and No. 19 in Germany, throughout March and April 2011. On 30 August, Magnum announced a new compilation remix album Evolution celebrating the last 10 years on SPV GmbH since their reformation in 2001. The album was released on 11 November 2011 in Germany and 14 November in the rest of Europe and the UK. The album featured 10 songs from the band's previous five studio releases, eight were re-recorded, remixed and remastered, as well as two new songs. The band released their 17th studio album On the 13th Day in September 2012. "So Let It Rain" was the first single, released in August 2012 via Steamhammer/SPV. The band toured in Europe to promote the album in late 2012 which charted in many countries across Europe including the UK at No. 43. Soon after releasing and touring On the 13th Day Magnum revealed that Tony Clarkin was back in the studio writing and recording new songs via Facebook on 4 April 2013. The new album, called Escape from the Shadow Garden, also was to feature Rodney Matthews's artwork, this time showing similarities to Magnum's early albums Chase the Dragon (the tree) and On a Storyteller's Night (the storyteller), along with elements from more recent albums such as On the 13th Day. Escape From the Shadow Garden was released in Scandinavia on 19 March 2014, and on 21 March for Germany, Austria and Switzerland, 24 March for the rest of Europe, and 1 April for the USA and Canada. As with On the 13th Day the band were hosts to their fans at a record launch party held at the Robin 2 in Bilston on 25 March 2014, the day after the UK release. Compared with Magnum's album releases since reformation it was a great commercial success reaching number 14 in the German Albums Chart, 19 in the Swedish Albums Chart, 22 in the Switzerland Albums Chart and 38 in the official UK Albums Chart, a position last achieved by Magnum with The Eleventh Hour! in 1983. It also reached number two in the UK Rock Albums Chart. In 2016 Magum released the album Sacred Blood "Divine" Lies, 10 brand new tracks forging forward the Magnum sound. With the collaboration once again with Rodney Matthews artwork the release came with bonus videos and bonus tracks. Followed by a 33 date 2016 tour in EU, UK & Ireland and then again a Winter tour appearing at a few UK & Irish venues. In 2016 after a conversation between Tony and his daughter discussing all the ballads the band had in the catalogue, "wouldn’t it be a great to re-release in some way an album full of Magnum ballads"? Tony talked to SPV and they agreed. This turned out to be a longer process than anticipated. Many songs undertook a lot of treatment to remix, re-master and even re-record complete songs. The new Ballads album titles “Valley of Tears” was released on 6 January 2017. In December 2016 Mark Stanway left the band. He was replaced by West Midlands session musician Rick Benton, and made his first live appearance in Wolverhampton 2016. He was officially announced as the new member in January 2017. - Hard rockers Magnum got their start in Birmingham, England, in the mid-'70s. The band's first album, Kingdom of Madness, came out in 1978, right in the midst of the punk rock musical revolution. That timing may be one factor contributing to the band's unknown status. Magnum II was released in 1979. After extensive gigging, the group released the live album Marauder in 1980, and Chase the Dragon came two years later. Going back to their "album a year" pace, The Eleventh Hour was released in 1983. The band went two years between discs again, with On a Storyteller's Night not being released until 1985, but the time seemed to have done some good for them. The album was well received and their fame was growing in Europe. Their next disc was produced by Roger Taylor (Queen), and Vigilante (1986) continued the group's rise. The true fruition came with Wings of Heaven the following year, as it made several charts in England. The next studio release, Goodnight L.A., arrived in 1990, and an album of rarities, entitled Spirit: A History, came the next year. 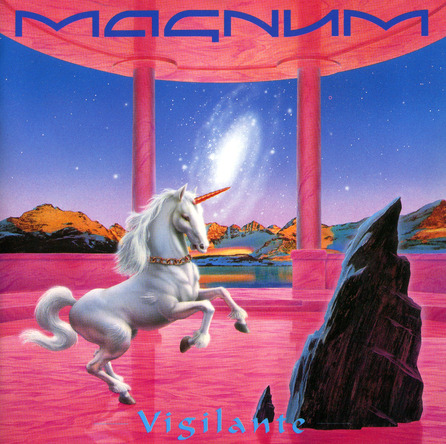 By 1992, Magnum had recorded their next release, Sleepwalking. They decided to call it quits in 1994, releasing Rock Art and commencing on a farewell tour. The tour was documented with the live album The Last Dance (1996). Little did they know at the time that the breakup was not a permanent one, and the band reassembled in 2001 to record a new album, Breath of Life, released in 2002. The disc reunited original members Bob Catley and Tony Clarkin with '80s keyboardist Mark Stanway.